Protect yourself and family members from such types of hidden camera which can leaks your privacy. This secret camera app is a anti-spy camera detector tool to help you detect disguised Camera lens that you suspect are present in a room. If you are traveling a lot and staying in hotels or other public places. You can use this Secret camera Application to safe yourself from such type of situation. 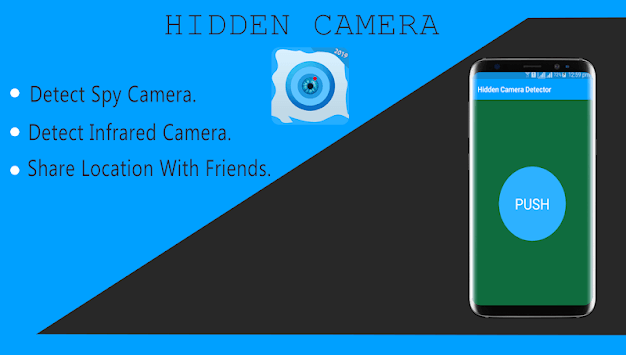 Our App is best detective hidden camera and work as anti-spy camera detector to find spy cam or other hidden video camera .in many public places some people put secretly hidden video camera to access your privacy.so in this type of situation you must install this camera detector app that you find easily and safe himself. Secret camera finder: New anti-spy camera 2019 is best hidden camera detector and act as anti-spy 몰카 몰래카메라 偷拍 provide you a protection from any types any types of spy cam like propane detector. 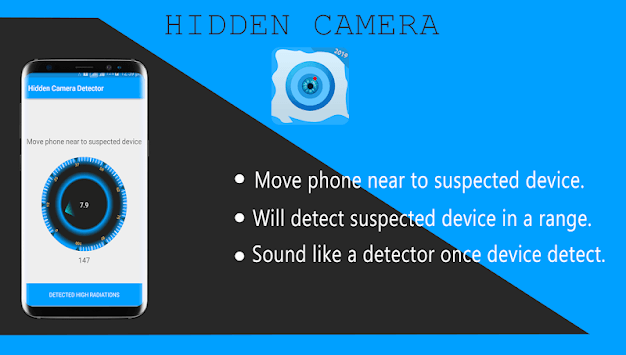 This hidden camera app will beep when it find the secret camera or spy cam around you and then you can easily find it. 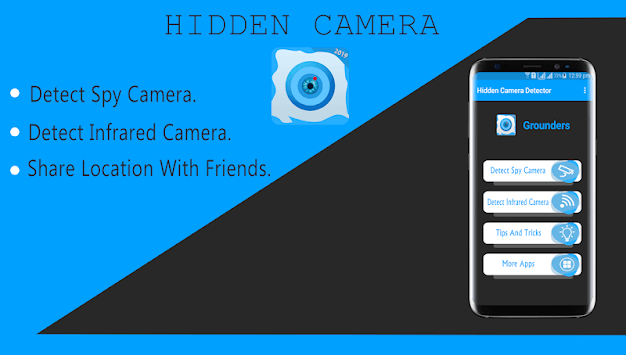 Through this hidden camera you can find a camera which is 10 to 20 meter around you then you can easily find that camera with the help of this application. Secret camera finder is very easy to use like other hidden camera and working as like propane detector. Bring your smartphone near to any device that you have doubt. like - shower, lens looking eye part or changing room mirror and detect secret camera. If the magnetic field graph values rise up then there is may be a hidden camera or microphone in that particular area .it can detect hidden camera detecting up to 15 cm. Our Secret camera finder: New anti-spy camera 2019 is one of the best features is to detect infrared lights. Just click on the hidden Camera and check for white light that appear on screen but not visible normally. Such white light indicate infrared light which cannot indicate other apps. Download our Secret camera finder: New anti-spy camera 2019 and make your privacy more secure because it is best propane detector and detective hidden camera! !